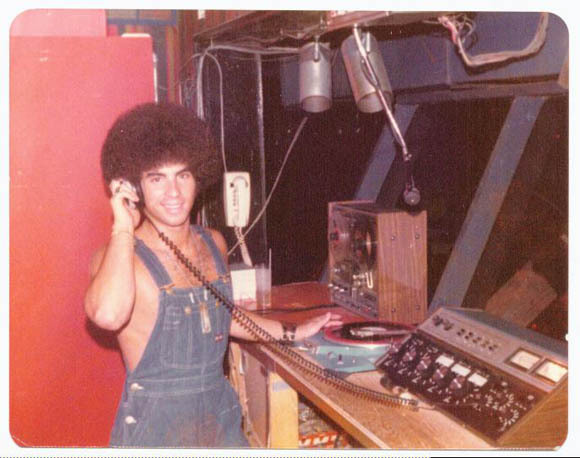 The way it was: Philip LeBash in the early days of modern DJing; see the complete LeBash history, interview, and images at DJ’s Portal. 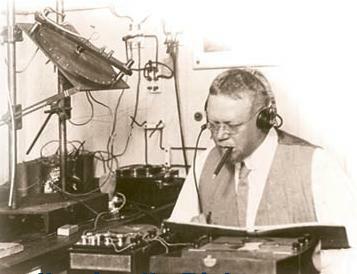 Technology and music have always had dynamic, changing, intertwined histories. It’s easy to forget that we’re in the middle of that history, both in terms of the now ubiquitous practices of DJs and the mind-numbing progression of software updates. I recently got to chat with Ableton’s David Cross about the new crossfader curves in Live 6, and we wound up talking more generally and philosophically about crossfaders, how they’re designed, and how they evolved. Crossfaders are wonderful things. We take finely-tuned crossfade curves for granted in video and motion work, but when it comes to music and sound, you rarely see crossfaders outside DJ hardware and software. Of course, this foray into 100 years of history all began because I asked about a software feature that cropped up just a few years ago. So back to that: David explains how Live 6 wound up with crossfader curves at the eleventh hour of development. Just to summarize, there are now seven crossfader curves in Live 6. The original ‘transition’ curve is still there, but so are six new ones that cover the spectrum between quick cuts and gradual fades. Three of the curves are dipped, meaning the volume of each channel will gradually decrease across the entire length of the crossfader. This is to accommodate the volume ‘doubling’ that occurs when mixing the drums of beat-mixed sources. The three ‘dipped’ curves are: constant, dipped, and intermediate. The three remaining curves (fast cut, slow cut, slow fade) are dipless, and are more suited for fading or cutting audio sources that are dynamically different (ie: an acapella onto a beat, or a bassline onto a pad). Compared to the original ‘transition,’ all of these curves have a much more gradual travel at the middle of the fader, which should make them better for people accustomed to DJ mixers. As feature implementations go, the crossfader curves’ introduction in Live 6 was somewhat unorthodox. There were a number of forum threads asking/begging/demanding that extra crossfader functionality be added into Live 6. Now, that’s par for the course on the Ableton forums – what was odd was that our developers responded to this new wave of requests with a fully fleshed-out feature in just a couple of weeks. What’s even more surprising was that this was all done during the beta test period, a time when nearly all of our developers were doing nothing but squashing bugs. I asked our CEO about the implementation, and it sounds like it was a combination of unlikely factors that got the curves in Live 6. First and foremost, Live’s development is tied into satisfying user requests – when a vocal subset of our user base raises a ruckus about the program, we’ll actually take note. Second, compared to something like Plug-in Delay Compensation or Multicore and Multiprocessor support, adding a few extra curves to the crossfader takes very little time. Finally, our development team was already working non-stop on tweaking Live 6, so adding a new feature (especially one that didn’t require too much time) wasn’t too big a deal. That said, I would strongly suggest requesting new features between versions, not right before they’re released! This was a very unique situation, we at Ableton usually spend a ridiculous amount of time discussing new features before we even consider writing a line of code. And there you have it. Part of what I like about Ableton’s cross-fader implementation is that, because it’s integrated into a general-purpose music environment, it lets anyone benefit from DJ techniques in whatever music genre they like, even if they don’t call themselves a DJ. I don’t expect Live 6, or any other software upgrade that came out this year, will be showing up on anyone’s history. But then, maybe someone using some of these tools will make history of their own — and that’s always more interesting. Thus concludes a major tangent around what just looked like a single feature bullet point, just to prove how interconnected these things can be.